With a glass of wine, we will welcome you to our hotel so you to start to enjoy your visit. Our 10 exclusive and romantic suites with luxury furnishings, 2 queen beds and a sofa bed, air conditioning, T. V. with LCD screen and connections for your laptop, WIFI, telephone, security box, Mini Bar, fans, coffee maker and on the terrace a kitchen fully equipped with refrigerator, electric stove, microwave, oven, dinner set and cutlery for 6 persons. Our 10 exclusive and romantic suites with luxury furnishings, 2 queen beds and a sofa bed, air conditioning, T. V. with LCD screen and connections for your laptop, WIFI, telephone, security box, Mini Bar, fans, coffee maker and on the terrace a kitchen fully equipped with refrigerator, electric stove, microwave, oven, dinner set and cutlery for 6 persons. Our facilities count with 10 suites with terrace and independent kitchen completely equipped. 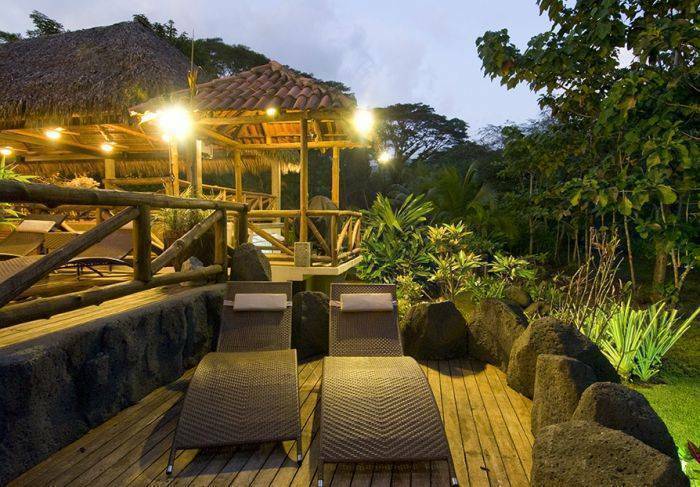 In the common areas you can enjoy 2 pools with water slide, jacuzzi area and waterfall. Two decks with chairs to lay down to enjoy a sun bath. A BBQ area at the side of the thatched ranch with tables, where you can contemplate the nature, listen to music or share with family and friends table games. 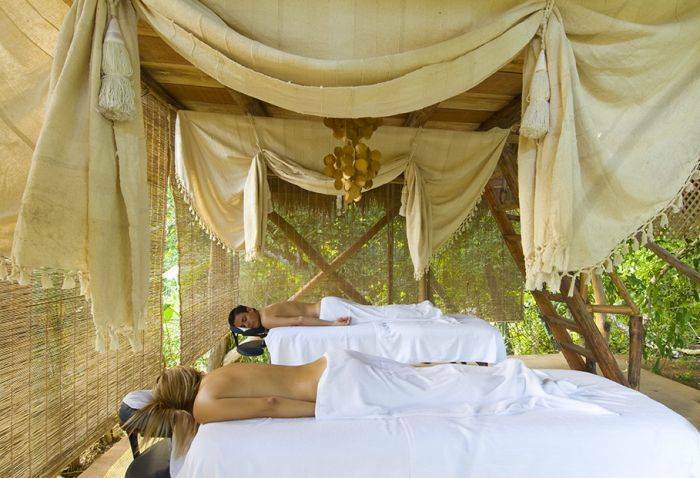 For those passionate readers and nature´s tranquility lovers we offer a comfortable ranch in the middle of the vegetation, with river view, where you could also receive a relaxing massage or other spa services. The rooms are cleaned every day, unless otherwise requested. We offer laundry services. We offer you information and professional advice at our tour desk. We can make your supermarket or grocery shopping. We offer the service of “food concierge”, to recommend you restaurants, cook you a personalized menu (with extra charge) or to suggest you which prepared meals to order. We offer professional massages and facials and other spa services upon request. We offer free shuttles to Jacó and Herradura Beach, also to the mall and the restaurants of the area, without any additional cost. 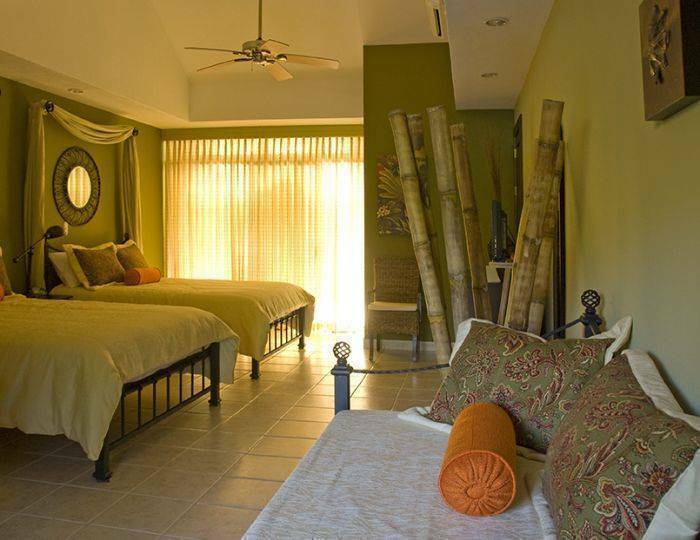 This cozy Eco Boutique Hotel is located just 1. 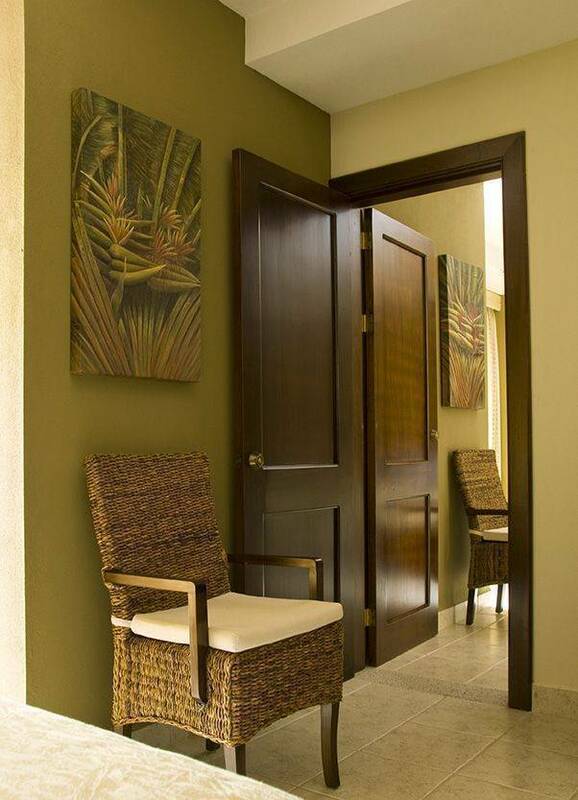 5 miles from Jacó Beach, with its attractions and the enjoyment of the sun, beach and surfing. It’s only 1. 5 km from Herradura Beach and the Los Sueños Marina. Every change or cancelation should be sent in written, and our confirmation of the modification or cancelation should be also replied in written, verbal agreements or by telephone conversation will not be accepted. In vehicle from San José, take the route 27, that will lead you to Jacó. After the crossroad of Herradura (Mall El Faro), continue 2 Km. over the Costanera, immediately before the first bridge, turn to your left in Pueblo Nuevo for 1 Km. and you will find the hotel on your right side.